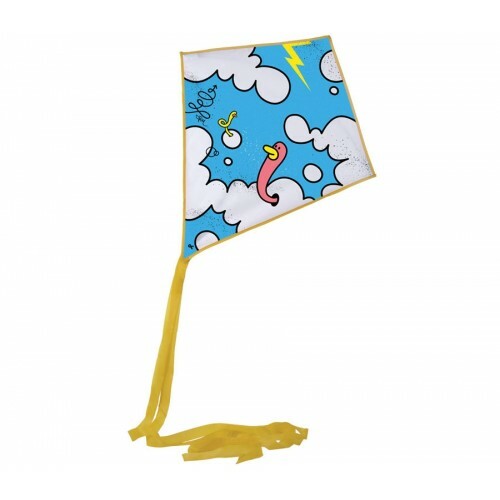 Kites have been considered works of art ever since they were first flown in china nearly 2500 years ago.High Art takes kites to a new level by transforming a aquality nylon kite with the artwork of contemporary illustrators. On this kite is 'Little Winged Demon' by Jan Kallweit. The Kite assembles to 24 x 28 inch ( 60 x 70cm) with a long double ribbon tail. Not only is it simple to make,this kite is a breeze for beginners to fly. Handle with string included.So lets go fly a a kite!